Zen is not just about what we do in the meditation hall, but what we do in the home, the workplace, and the community. 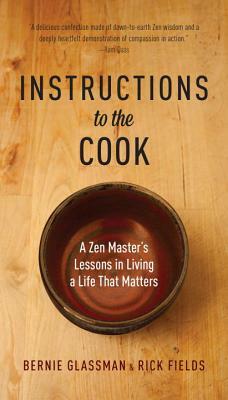 That's the premise of this book: how to cook what Zen Buddhists call "the supreme meal"—life. It has to be nourishing, and it has to be shared. And we can use only the ingredients at hand. Inspired by the thirteenth-century manual of the same name by Dogen, the founder of the Japanese Soto Zen tradition, this book teaches us how we can "enlarge the family we're feeding" if we just use some imagination. Bernie Glassman founded Greyston Bakery in Yonkers, New York, in 1982 to employ those whom other companies deem unemployable—the homeless, ex-cons, recovering addicts, low-skill individuals—with the belief that investing in people, and not just products, does pay. He was right. Greyston has evolved into an $8 million-a-year business with clients all over New York City. It is the sole supplier of brownies to Ben & Jerry's Ice Cream, and has even sold cakes to the White House. But financial profit is only one of two bottom lines that Greyston is committed to. The other one is social impact, and this goal is certainly being met. The bakery enterprise has led to the creation of the Greyston Foundation, an integrated network of organizations that provide affordable housing, child care, counseling services, and health care to families in the community. Using entrepreneurship to solve the problems of the inner city, Greyston has become a national model for comprehensive community development. Its giving back is more than just sloughing off a percentage of its profits and donating it to charity; it's about working with the community's needs right from the beginning—bringing them from the margins to the core. As its company motto goes, "We don't hire people to bake brownies. We bake brownies to hire people." Rick Fields (1942–1999) is the author of several books, including Chop Wood, Carry Water and The Code of the Warrior. He has served as the editor of The Vajradhatu Sun, an international journal of Buddhism (now Shambhala Sun), and as the editor-at-large of Tricycle: A Buddhist Review.